Many different activities are enjoyed by both residents and visitors to Canada. One of these is the sport of sailing. This can be enjoyed on many different levels. It is such a self-rewarding activity that it deserves as much attention and recognition as it can get. This site has been dedicated to sailing with the hope that it will bring a greater appreciation for it and encourage those who have not participated in it to do so. 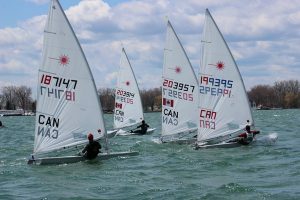 There are numerous bodies of water throughout Canada that can be used for a variety of water activities including sailing. It can be difficult to know what are considered to be the favourite spots. Most often those who are in a specific region of Canada will have no difficulties finding a location where they can do some sailing. For those who are intent on enjoying this in the best spots, we have prepared a post here that provides this information. It will be a great starting point for those who want to enjoy some of the best sailings in Canada. Sailing is an activity that does require some skills that can be greatly developed with the proper training. Those that are interested in this will enjoy the information that we have provided here. It deals with various types of training programs and institutions that offer this. There are several training facilities spread across Canada, so there are ample choices no matter where one decides to learn more about this exciting sport. Many people just want to enjoy a day out on the water enjoying some sailing. They often add some sightseeing to this event. There are others who want to be involved in sailing on a more serious nature. For them, their interest lies in the competitive side of the sport. Many different types of competitions take place in the spring, summer and fall months in Canada. These range from local events to more formal ones like participating in championships. We have provided some information here for those who would like to know more about this part of the sailing adventures. It only stands to reason with sailing being such a popular sport that it would be part of the Olympics. It is one that Canada actively participates in and has done well in over the years. The next Olympic summer event will be coming up in 2020. The post here highlights some important points about Canada’s participation.